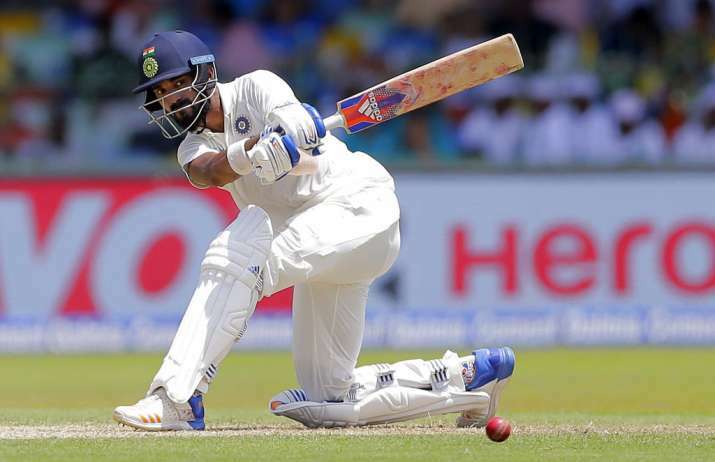 Kolkata, Nov 19: Lokesh Rahul, who hit his ninth half-century in 11 Test matches, on Sunday came in for praise from veteran Sri Lanka spinner Rangana Herath, who stated the opener has matured a lot in these few years and has a bright future ahead of him. Rahul was 73 not out at stumps on the fourth day of the first Test against the visitors as India took a 49-run lead to post 171/1. Sri Lanka had gone ahead by 122 runs by scoring 294 in the first innings replying to India's 172. "He has matured a lot although he is young. He has a bright future ahead of him," Herath told reporters after the fourth day's play. Rahul had scores of 85 and 57 when India travelled to Sri Lanka and has been consistent in the recent past. Herath said players will take time to fully understand the new changes in the ICC rules after his skipper Dinesh Chandimal escaped fake fielding charges on Day 3 and Dilruwan Perera was caught in a Decision Review System (DRS) controversy. "We all know those rules but when you play this game everybody is learning and in future everyone will know the rules 100 percent," said Herath, who has been playing international cricket for 18 years. About the wicket at the Eden Gardens, which was a green top initially in the first two days but eased out after the sun came out, Herath said for a spinner there is little on offer but hoped there would be purchase on the fifth day. "As a spinner, you would like to see some turn but in this pitch there is not much assistance for spinners. When you are getting to the fourth innings, there is more assistance for spinners."